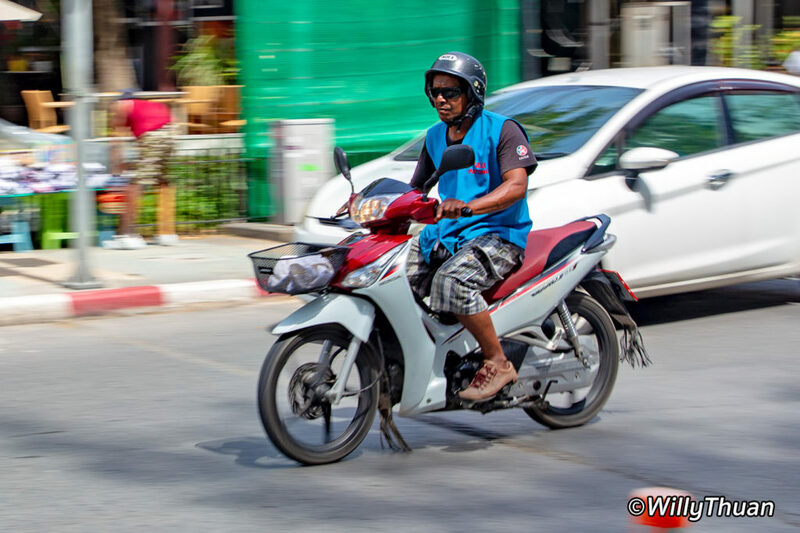 How to Get Around Phuket? 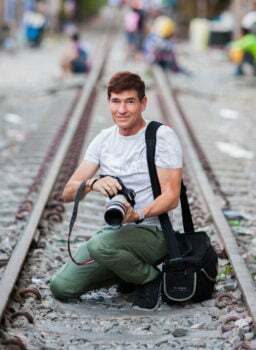 How to Get to Bangkok, Krabi and Koh Samui? How to get around Phuket is a question most first-time travellers will ask on our Phuket 101 Community or by direct messages. 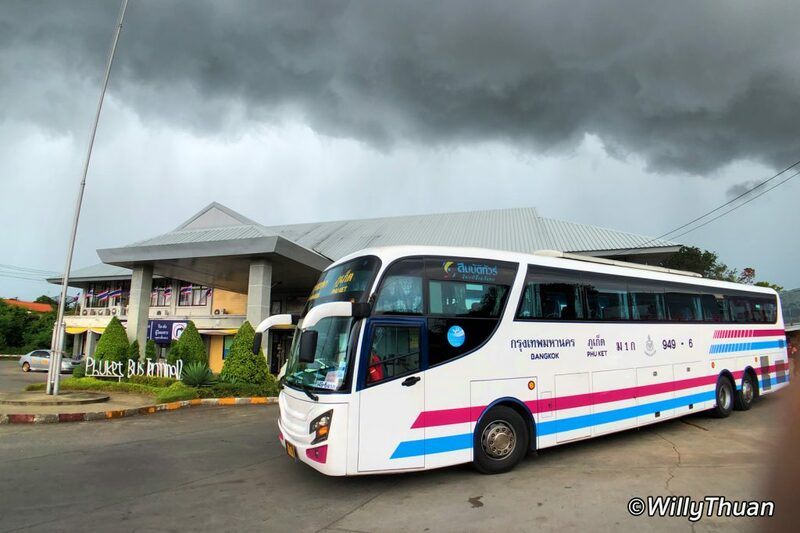 It can indeed be a worry as Phuket is not known to have an excellent public transport system like other worldwide destinations often have. 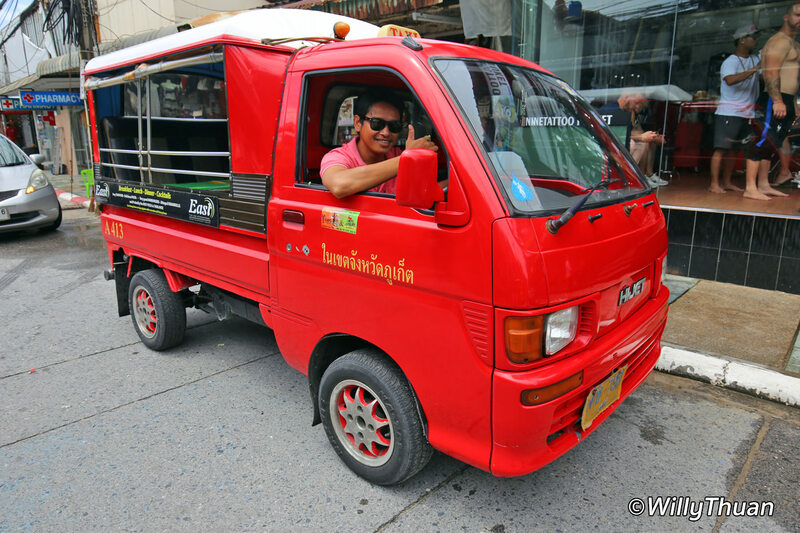 Phuket is extremely easy to navigate because Tuk-Tuks are just everywhere, and can take you anywhere. So unless you are on a very tight budget or want to travel great distances, you will never have to worry about getting around in Phuket. 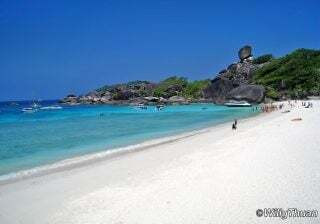 Here we describe the many ways to explore Phuket. 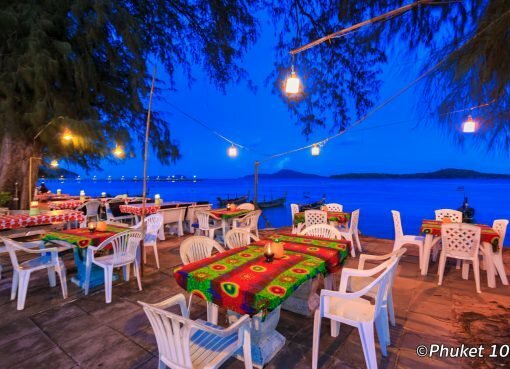 The page is not yet complete, but it should be comprehensive enough to make you feel better about your upcoming holidays in Phuket! The Tuk Tuk of Phuket is very different from the iconic blue Tuk Tuks of Bangkok. Here, they are four wheels Daihatsu, with access from the back. They can be red or yellow, but the colour doesn’t mean anything. 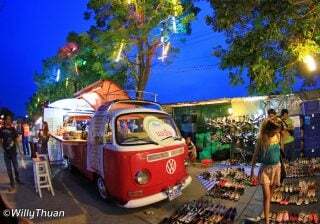 Those Tuk Tuks, mostly those in Patong Beach, can come with blasting sound systems and lights can be as colourful as a night club. Young travellers seem to love these as you often can see them singing and laughing on the way to their destinations. Price is a little high, and theoretically, there is an official rate displayed on boards near main beaches. Grab Taxi is an excellent alternative to Tuk Tuks if you prefer a more conventional way to get around the island. 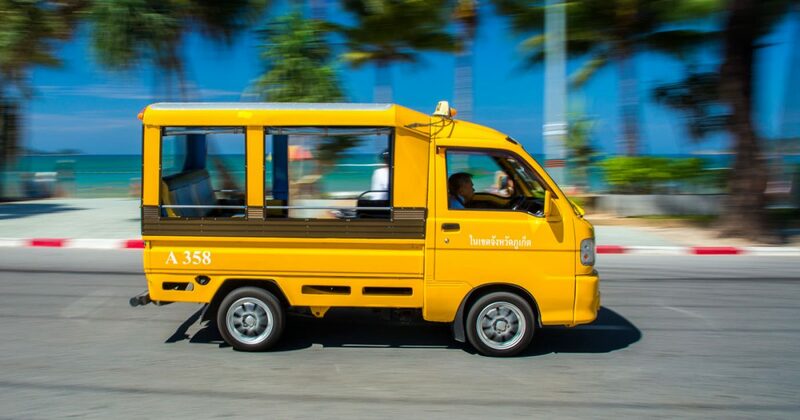 It’s less colourful than a tuk-tuk, but seats are a lot more comfortable, you get air con, and you know how much the price is before you go so you won’t need to bargain. (There is no more UBER in Thailand). 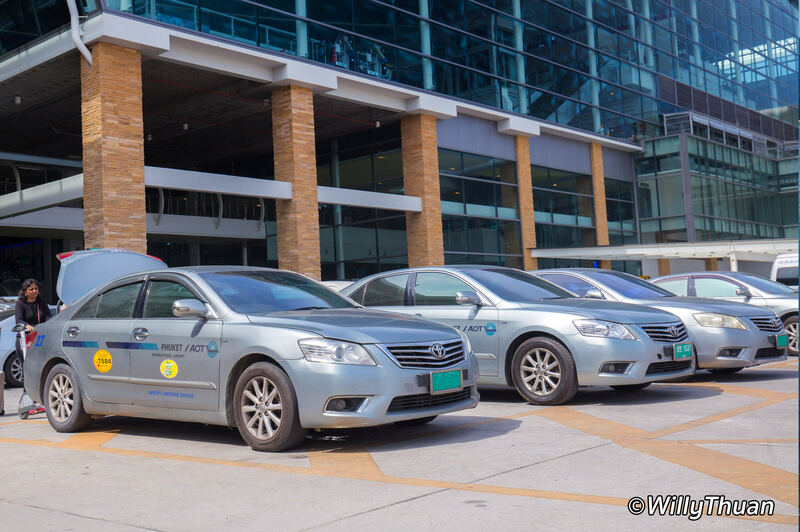 Note that Grab is not allowed to pick you up from Phuket Airport. 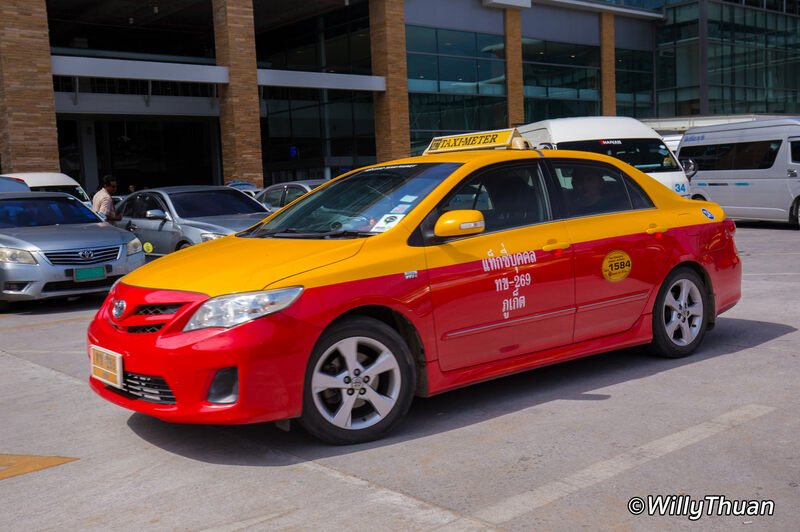 You will have to use one of the many other ways to get from Phuket airport to your hotel. Motorbike Taxis are fast fun and relatively cheap but not available everywhere around the island. Probably in Patong, Kata, Karon and Phuket Town. You can bargain the asked price a little. You can easily spot a Motorbike Taxi by their colourful jacket with a number printed on it. They probably will honk at you anyway as they are pretty good at reading lost travellers’ body language. But renting a motorbike (they say motorbike or just ‘bike’ here, not motorcycle) is not for everyone. Driving here is challenging and requires skills and attention. Accidents are frequent, and most rented bikes have inadequate insurance coverage. If you plan to rent one, please get an international driving license and travel insurance for our peace of mind. 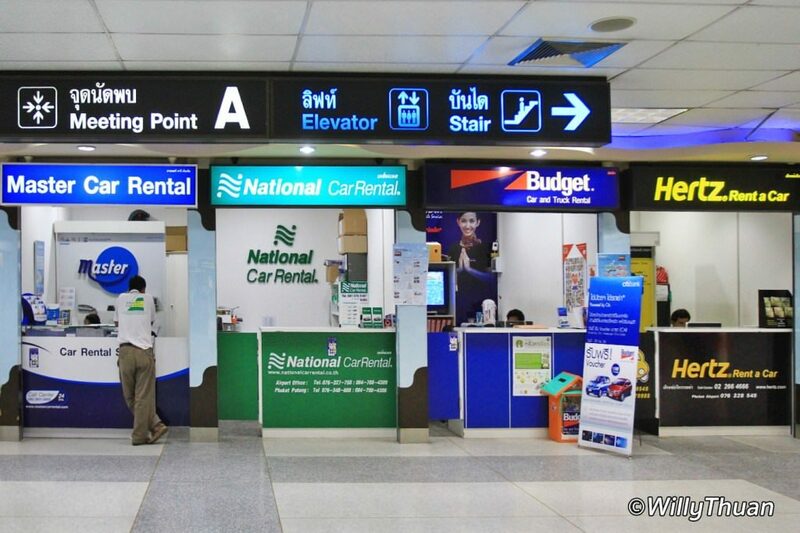 Renting a car is another way to explore Phuket and beyond. It’s much safer than a bike and can accommodate up to 4 persons and some luggage. Always rent from a reputable international company: you can easily book online before arrival and prices are reasonable. They are not more expensive than local companies and come with proper primary insurance and a name you already know. For total peace of mind, you should consider full coverage insurance, driving in Phuket is a little different from most countries and even just a scratch can be a headache and a waste of precious holiday time. 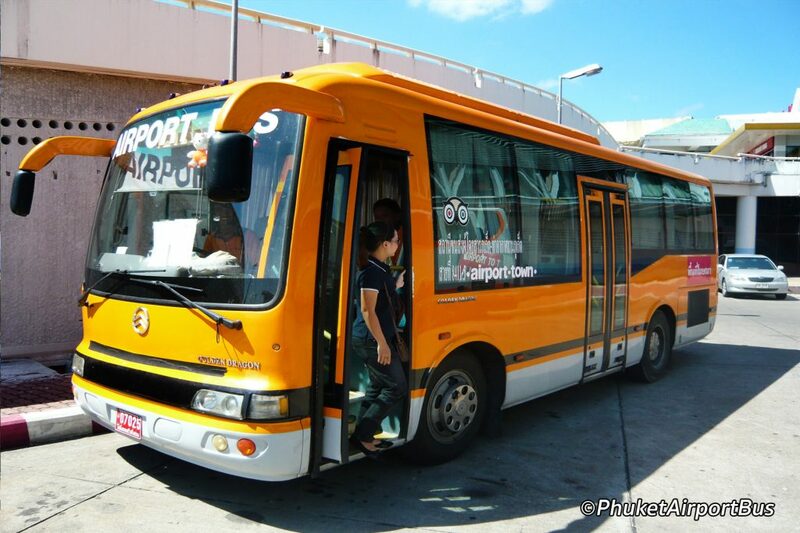 There are many ways to get from Phuket airport to your hotel, from the cheap (but slow) Phuket Smart Bus to the more luxurious airport limousine. People seem to often choose a compromise between both options by travelling in a mini-van or a taxi-meter. We describe all the options in detail on this page. 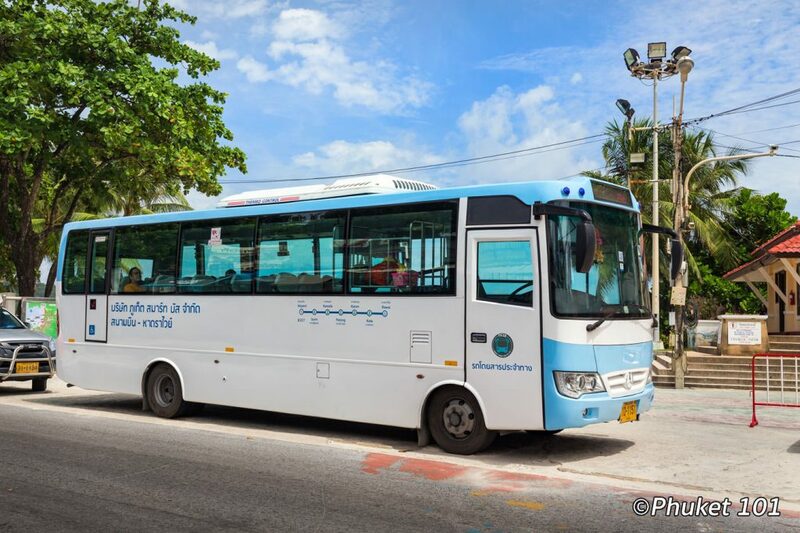 If you travel on a budget and decide to go to Phuket, Krabi or even Samui, the bus is your best option. You will find them at Phuket Bus Terminal 2 in Phuket Town. 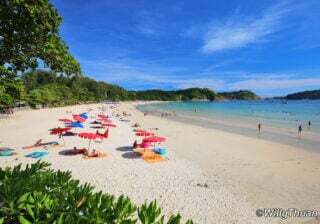 Another persistent question is about going from Phuket to the famous Phi Phi island and even all the way to Krabi and Koh Lanta. 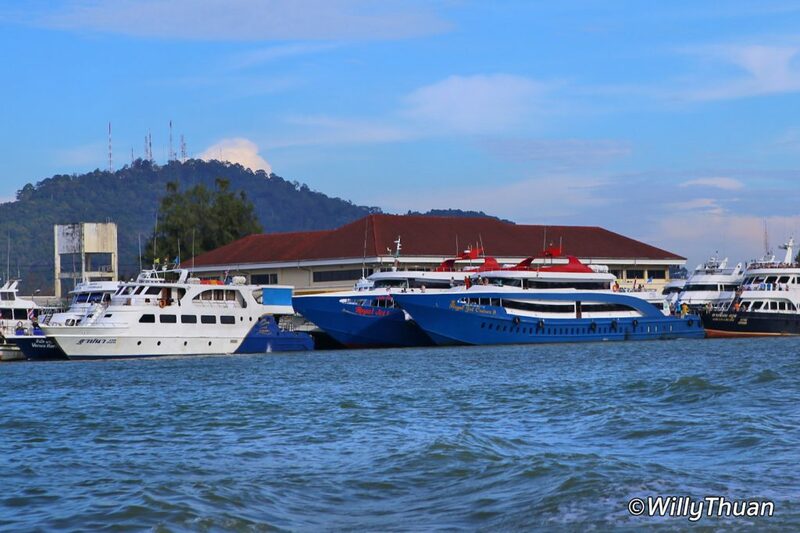 See the Ferry Time Tables and Prices here.